Product prices and availability are accurate as of 2019-04-21 00:44:37 UTC and are subject to change. Any price and availability information displayed on http://www.amazon.co.uk/ at the time of purchase will apply to the purchase of this product. 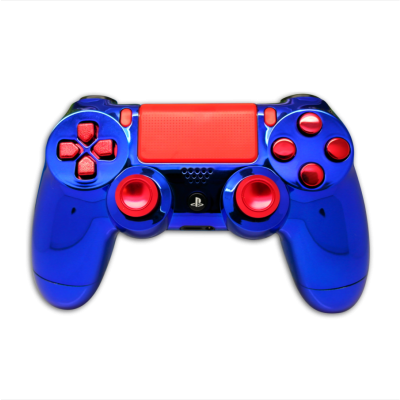 This “Spiderman” design features an Custom Ps4 Controller outer shell themed after the super hero Spideman. It comes with a chrome blue shell, red joysticks, and buttons. All for the price of £74.99 This authentic PS4 controller also comes with the option to add a modchip for £34.99, domin8tor buttons for £6.99 each, and written text on both sides of the controller.